It&apos;s been a long time coming, and now the "Maroon" Air Jordan VI is finally getting a retro for the first time since its original 1991 release. But that&apos;s not all. 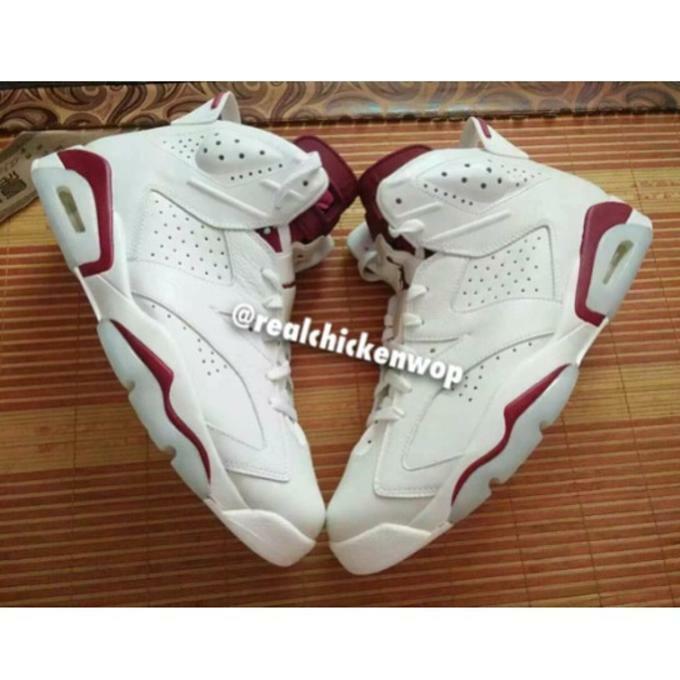 Today, we learn that the 2015 "Maroon" retro will include the infamous &apos;Nike Air&apos; branding on the heel. Aside from the "88" Air Jordan IIIs, this is the first time Jordan Brand has done this since retros from the early 2000s, so the branding alone is sure to generate some hype. Take another look below courtesy of @realchickenwop and check back soon to find out when you&apos;ll be able to cop these. According to The Shoe Game, the retail price is set at $220.